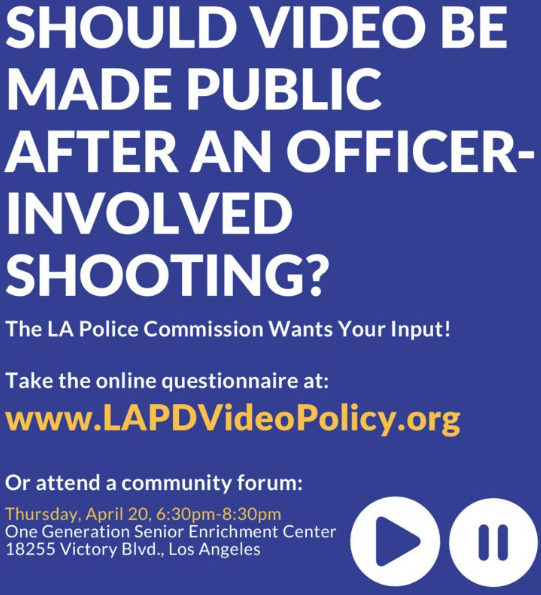 Your Opinion on LAPD Video Policy? 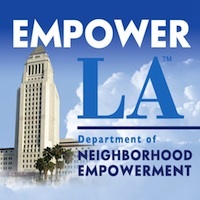 Home/Front Page, Public Safety/Your Opinion on LAPD Video Policy? Now is your chance to speak into this important issue by completing the survey by May 7 or attending a community forum on April 20 at ONE Generation Senior Enrichment Center, 18255 Victory Blvd.